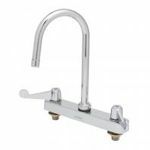 T&S Brass is a name long established as a leader in high quality foodservice plumbing supplies like faucets, nozzles, and spray hoses. Equip by T&S products are the same high quality and dependability, but at an affordable price for the foodservice establishment looking to stay within a budget. 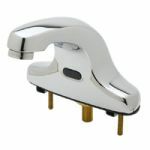 From Pre Rinse Faucets, Gooseneck Nozzles, and Glass Fillers to Hose Reels and full faucet and nozzle assemblies, Equip has the plumbing part or accessories that you need to replace existing equipment or for adding on to your operation. 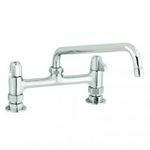 Look to Equip by T&S to provide the plumbing you need while helping you hold on to more of your revenue.